It may be midterm season, but picking a good Valentine’s Day restaurant is undeniably a more crucial and daunting task than preparing for your exams. The key to success here is correctly identifying which category your Valentine’s Day date falls under. We’ve cut out half the work for you and found the perfect restaurants to match. Perhaps you’re in that notorious sort-of-not-really-kind-of-dating grey area or maybe you’ve been dating since Wildcat Welcome and at this point, the prospect of a date that requires you to change out of your jeans sounds fairly awful. Either way, head to Spacca Napoli in Lincoln Square. 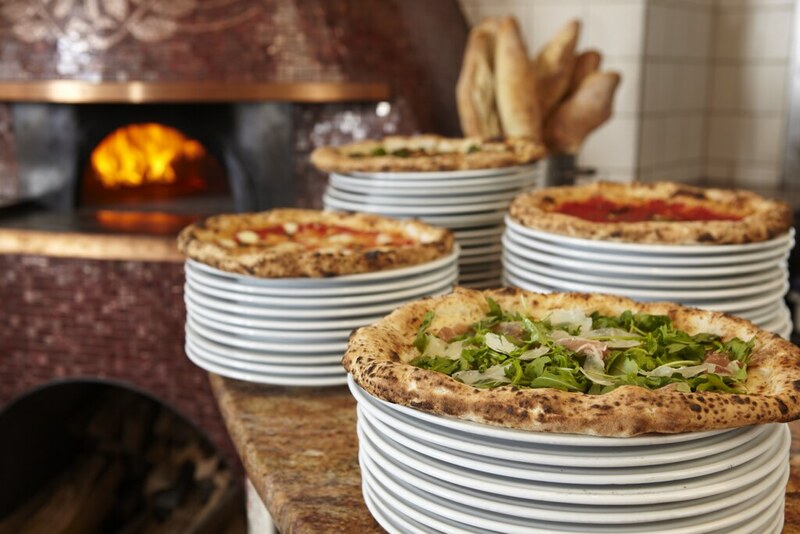 This pizzeria is the brainchild of Jonathan Goldsmith, who brought the fruits of his studies as a Piazzaiuolo (certified pizza maker) in Naples back to Chicago in 2006. The atmosphere is warm and laid-back, but don’t let that deceive you; Spacca Napoli is deadly serious about its Neapolitan-style pizza, baked in a custom oak-oven. Must-tries include the prosciutto e rucola, whose sharp Parmesan pairs beautifully with the peppery flavor of the arugula heaped on top, or the diavola, which takes the traditional tomato sauce-mozarella combination to a new, unbelievably fresh level. As an added bonus, the pizzeria often offers free, homemade cannolis on your way out. You get points for introducing your date to the world of authentic Italian pizza without looking like you tried too hard. Some would argue, on the other hand, that Valentine’s Day is definitely not the time to hold back. If you’re one of those Valentine’s Day purists, then you’re probably trying to find a restaurant that’s going to be the perfect close to a day filled with roses and artisan chocolates with incomprehensible French names. Sepia is exactly that. Classic chandeliers cast a dim, warm glow upon vintage accents, evoking an updated speakeasy type feel that is classically romantic in that sophisticated, metropolitan way. Andrew Zimmerman’s cuisine follows suit, highlighting local, seasonal ingredients in sumptuous, nuanced dishes that represent the height of Chicago fine dining. Try the tea-smoked duck breast — its tenderness and deep, rich smokiness is to die for. 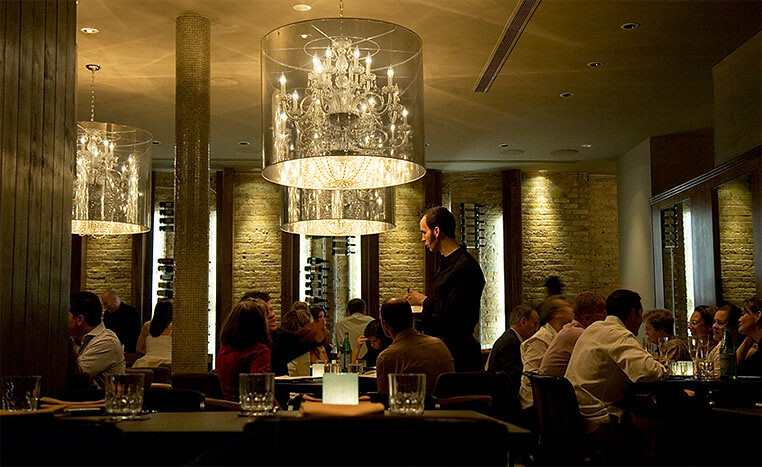 Although prices are a little steep, it’s the cheapest Michelin-starred restaurant in Chicago that still exudes that glamorous special-occasion feel, making it an ideal choice for this kind of Valentine’s Day date. If you’re trying to pull out all of the stops, Sepia is sure to impress. 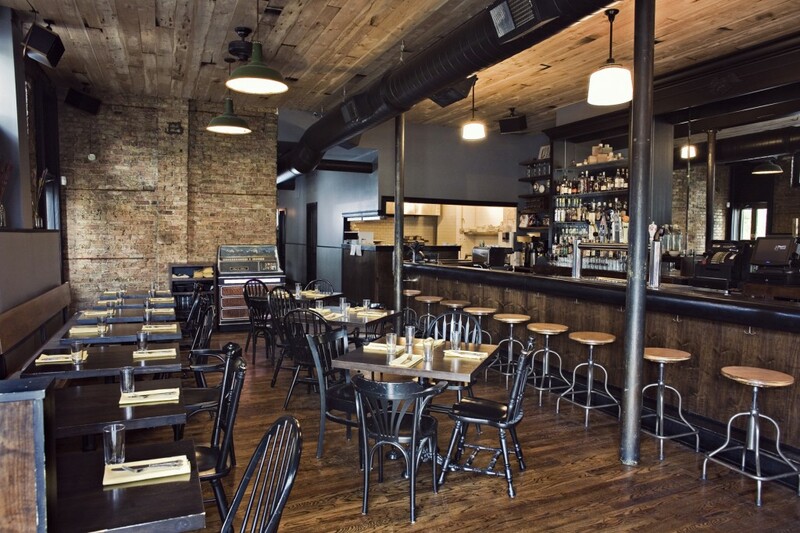 Say this Valentine’s Day, you just really want to be that person who sweeps your date off his or her feet and into a hip gastropub gem that makes it look like you casually know the Chicago dining scene like the back of your hand. Your date is probably either a hipster foodie or a native Chicagoan, and either way, you’ve got your work cut out for you. 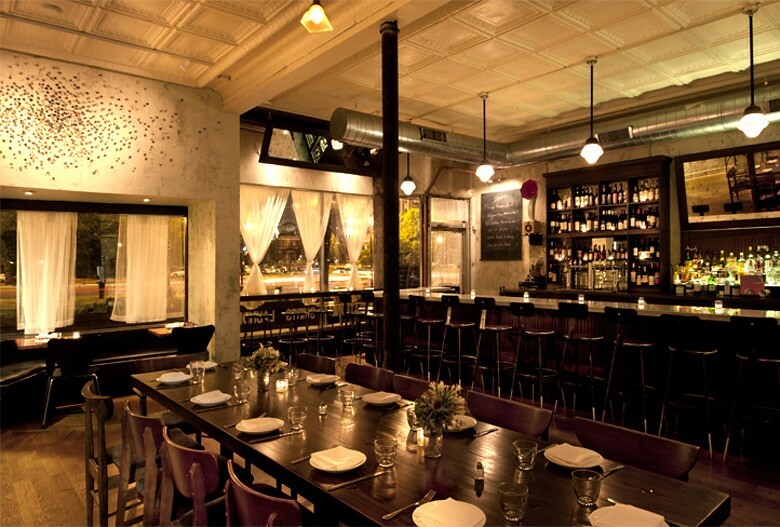 Lucky for you (and everyone else, really), Longman & Eagle exists. The restaurant has that too-hip-for-its-Michelin-star quality that your date loves. Plaid-clad waiters give off a decidedly young, laid-back vibe, but can also expertly guide you through the inventive gastronomical creations that redefine the term “bar food.” Small plates like seared foie gras with parsley purée, savory apple-bacon crumble, aged cheddar and rosemary caramel feature unlikely combinations that harmonize perfectly on the plate. It’s haute cuisine with an edge. Just make sure you budget some waiting time if you go this route — Longman is too cool for reservations. Unfortunately, for college students, Valentine’s Day is often a time when the grandest of dating aspirations meet the cold, hard reality of our bank accounts. If you want to look a lot like the classic romantic without living in fear of next month’s rent check bouncing, try Lula Café. Although, the atmosphere is a bit livelier and less swanky than Sepia, its candle-lit tables and tasteful contemporary accents make for an equally intimate setting. The restaurant’s menu changes frequently, but it always uses locally-sourced ingredients to make beautifully fresh dishes with unexpected twists. Lula’s prices remain at a much more reasonable level than most Chicago restaurants of its caliber, making it possible for you to impress your date without breaking the bank. Contrary to popular opinion, the restaurant choice for this date night is just as crucial as it is for all the other dates, because if the food is unsatisfactory, suddenly you’ve got a group of angry, hungry, single girls on Valentine’s Day. Not a good situation. Mindy’s is pretty much foolproof for this type of date. Whether you go for the hot chocolate (try the Mexican hot chocolate for ultimate richness, with a kick of spice from cinnamon and a dash of cayenne pepper) or the brioche donuts with hot fudge and caramel corn, this dessert bar is sure to provide you with the sweet caloric load you and your friends need to get through Singles Awareness Day 2014.